What enforcement is needed for China to keep to a trade deal with US? InterDigital CEO Bill Merritt on the Trump administration's trade negotiations with China. 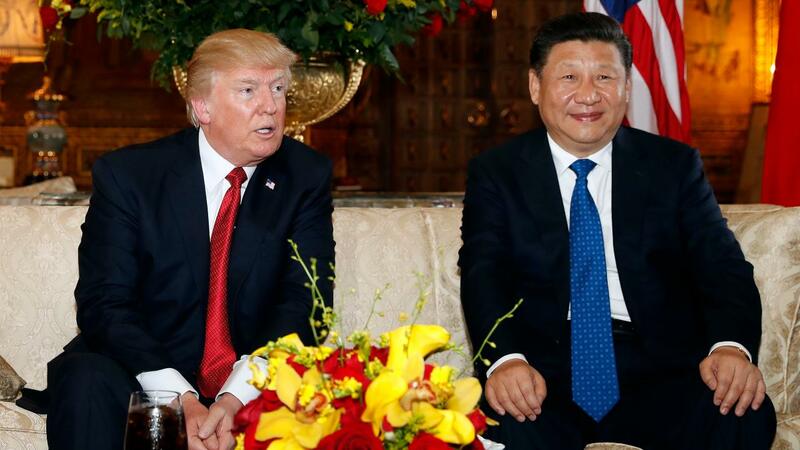 President Trump is expected to announce plans for an upcoming summit with China’s President Xi Jinping on Thursday during his meeting at the White House with the Chinese leader’s special envoy Vice Premier Liu He. Trump last month indicated that he was in “no rush” to complete a trade deal with China, insisting that any deal must include protection for intellectual property (IP). Chinese companies talk a good game about respect for IP. However, the challenge is getting the Chinese to move from words to actions and finding an enforcement mechanism that can guarantee that Chinese companies walk the talk. My company is typically listed among the top three or four contributors to wireless standards like 5G, which we’re very proud of. And yet, here’s our tally of getting top global wireless players to sign fair licenses: of the non-Chinese companies that make smartphones, nine out of ten are current licensees, including Apple since before they even made phones and Samsung for more than twenty years. Of the top ten Chinese companies that make smartphones, zero out of 10 are currently licensed. Zero. IP has been a centerpiece of the Trump administration’s efforts to reshape trade with China. And rightly so: manufacturing and supply chains can be drivers of jobs and value, and access to competitive goods can be great for consumers, but intellectual property – design, innovation, research and development – is the catalyst that drives all of those. In the wireless industry, the centerpiece for a lot of trade angst these days, this is especially true. Every year, about $20 billion of research worldwide drives standards, like 5G, that underpin $400 billion in smartphone sales, $30 billion in network equipment sales, untold numbers of jobs and dollars in app development, and more than $2 trillion in worldwide operator revenues. And Chinese companies have become significant players in wireless research, especially in the last decade where they’ve joined the ranks of the major standards contributors. China needs to realize and accept that respect for IP goes both ways. You can’t respect and highlight your own IP, and simultaneously disrespect the IP of others. You can’t uphold certain practices with the goal of getting paid royalties, and denigrate those same practices when you’re expected to have to pay. For example, some Chinese companies have demanded in court that companies that owe them a license meet in arbitration, but have resisted arbitration as a form of settling conflicts when they find themselves as the licensee. Chinese companies have argued that European and American courts should only set rates for sales in those countries, but have filed suit in China to have Chinese regional courts set rates for the entire world. The IP issue is not about talk. Xi Jinping signed an accord with the Obama administration to prevent IP theft in 2015, and has talked repeatedly about the importance of protecting intellectual property and punishing infringers. But without fair compensation, unchecked theft of American innovation by bold Chinese manufacturers continues. These companies are unfairly and illegally using patented technology to build smartphones and other gadgets – without regard for the long-accepted and successful global trade laws that have made those industries successful. It&apos;s clear that Trump is committed to putting the interests of American workers first and ensuring that China respects IP. Trump tweeted recently about the importance of 5G and beyond, and said that he wanted U.S. companies to step up and win through competition … not exclusion. Very fair, and very true. But the playing field needs to be level. What we need is not promises and guarantees, but concrete benchmarks and steps that can ensure that Chinese companies are playing by global rules if they are going to access global markets. Those benchmarks should include actually signing licenses with major patent holders and committing to binding arbitration to set license terms when the companies cannot agree. Until we have those benchmarks, and they apply to all level of intellectual property misdeeds, from theft of brands and designs to implementation of technologies with no regard for fair licensing, we run the risk of simply getting still more words, and precious little action. William J. Merritt is president and CEO of InterDigital, a mobile technology company that designs and develops advanced technologies that enable and enhance mobile communications and capabilities.